Today is my birthday (wow can't even understand that the last year has gone by so fast), and even though I would have loved to give you a lot more inspiring posts than I've been doing lately, I promise that I'll return very soon! 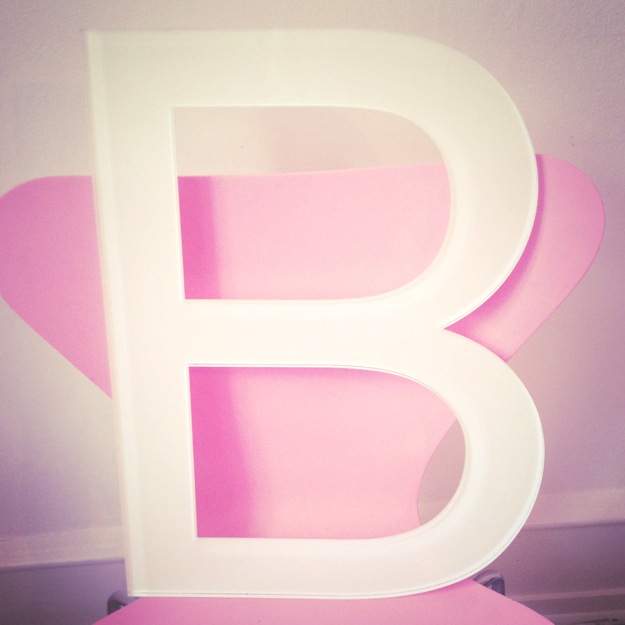 Meanwhile, since it IS my birthday, I took the time to take a little photo and post (you can also follow me on instagram - kberggreen) of a B-letter I have at home.. B for birthday... Have a great day! Jeg har et spm ang NEW AMAZING OFFICE SPACE innlegget fra juni 2012. Det jeg lurer på er om dette er lokalene hvor Skolen for fotografi var før?